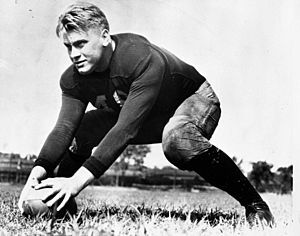 He was born on July 14, 1913, at 3202 Woolworth Avenue in Omaha, Nebraska, where his parents lived with his paternal grandparents. 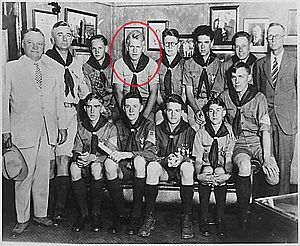 His birthname is Leslie Lynch King, Jr.. His mother was Dorothy Ayer Gardner, and his father was Leslie Lynch King, Sr., a wool trader and son of prominent banker Charles Henry King and Martha Alicia King (nee Porter). Dorothy separated from King just sixteen days after her son's birth. She took her son with her to the Oak Park, Illinois home of her sister Tannisse and brother-in-law, Clarence Haskins James. From there, she moved to the home of her parents, Levi Addison Gardner and Adele Augusta Ayer in Grand Rapids, Michigan. Dorothy and King divorced in December 1913; she gained full custody of her son. Ford's paternal grandfather Charles Henry King paid child support until shortly before his death in 1930. 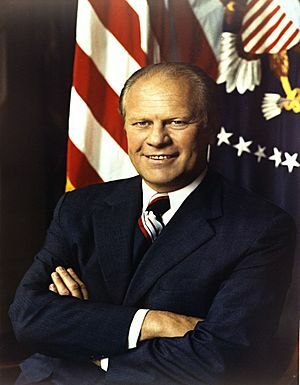 Ford served 25 years in the United States House of Representatives and was Minority Leader for many years. 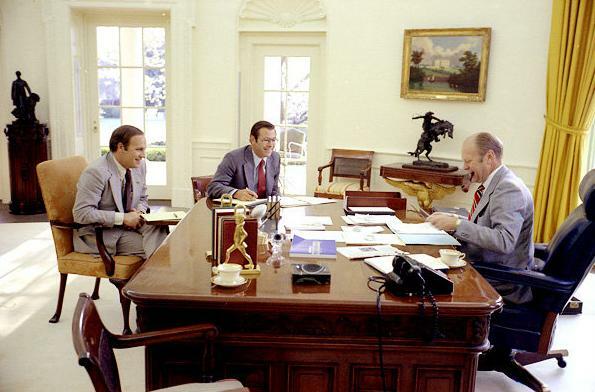 When Richard Nixon was President, his first Vice President was Spiro Agnew, but Agnew resigned in 1973 because he took bribes while he was Governor of Maryland in the late 1960's. 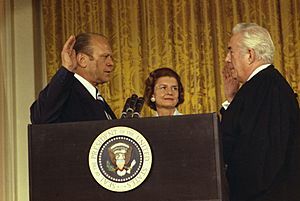 Nixon then chose Ford to be his next Vice President. Ford had to be approved by Congress since there was no Presidential election that year. Because he had been in Congress for a long time, other Congressmen knew him well and were happy to approve him as Vice President because they thought he was honest. 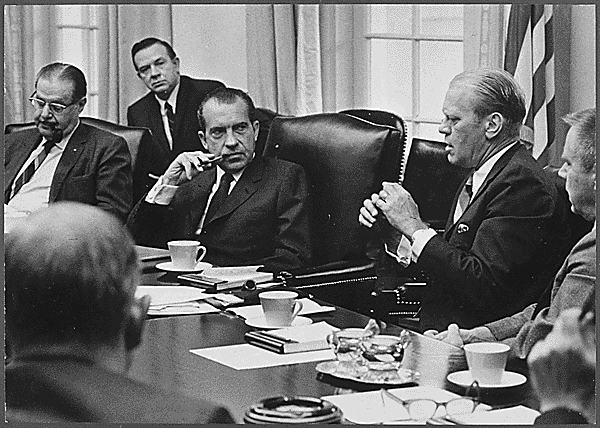 Because of the Watergate scandal, Nixon resigned on August 9, 1974. 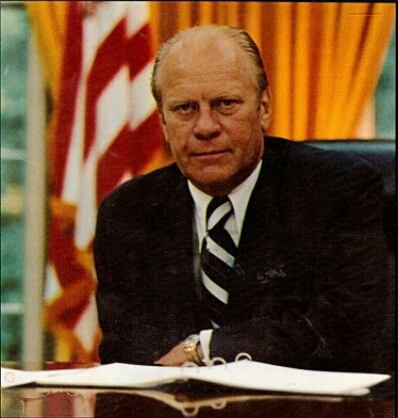 Ford became the President. He is the only President of the United States not to be elected to either the office of President or Vice President. 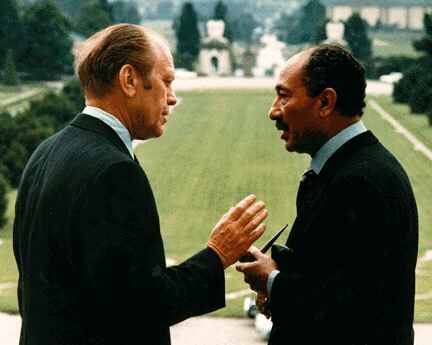 Once he became President, he realized he could do a good job and decided to run for a full term in 1976. He ran against the popular conservative Ronald Reagan for the Republican nomination in 1976. 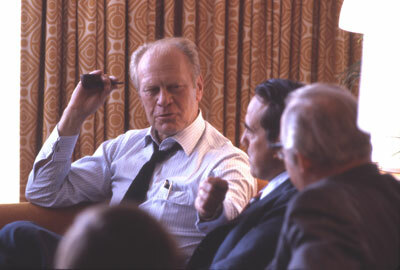 Ford won by a small amount of votes against Reagan. 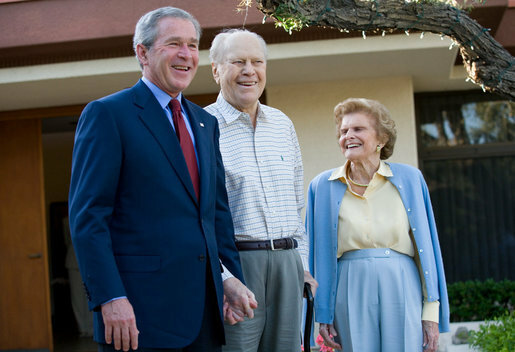 With his relatively short 895-day presidency (less than one term), he was often seen as a place holder in between Richard Nixon and Jimmy Carter, although his handling of the Watergate scandal has colored people's view of him. While critics felt that pardoning Nixon wasn't fair, his supporters felt like his term provided a sense of healing and comfort to a country that was morally divided. 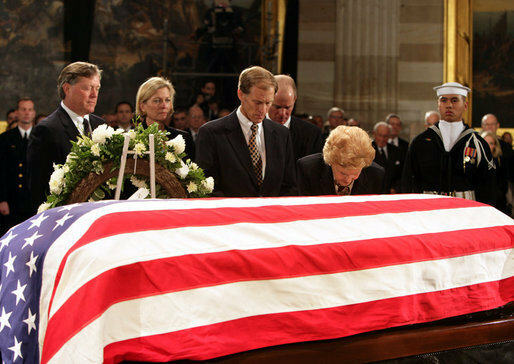 He was also on the more moderate end of the Republican spectrum in the country, a stark contrast to the more conservative Ronald Reagan. 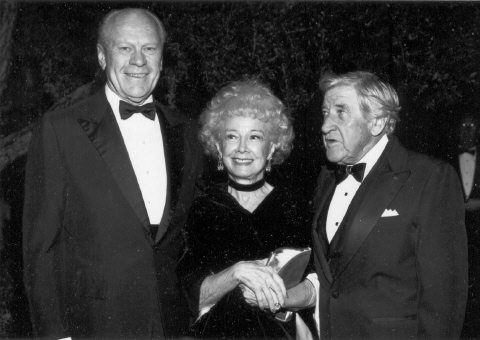 Ford died in his home in California on December 26, 2006 at the age of 93 years and 165 days. 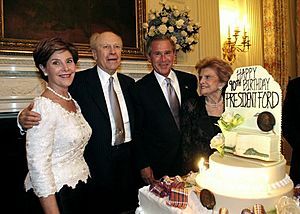 No other president ever has lived to be that old since Ronald Reagan back in 2004. 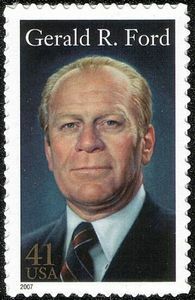 Gerald Ford Facts for Kids. Kiddle Encyclopedia.